If the title of a collection appears in red, you can click on it to open a collection guide. Mary Adrienne Steckling Coen (1934-2006) graduated from Parsons in 1958. In 1966 she developed her own line and continued designing under her own labels for the rest of her career. In 1982, Adri received the prestigious Coty American Fashion Critics "Winnie" award. The collection documents Adri's business and professional life, with materials largely arranged according to year and season. Includes swatches, clippings, tear sheets, sketches, photographs, slides, videotapes, patterns, and presentation portfolios. After graduating from Parsons in 1934, Tom Brigance (1913-1990) became a fashion designer specializing in women's swimwear and sportswear. Exclusive designer at Frank Gallant in the 1950s, Brigance won the fashion industry's Coty Award in 1953. The collection includes scrapbooks of clippings and photographs publicizing Brigance's designs, sketches, publicity materials, and four original fashion illustrations of Brigance swimwear by Dorothy Hood, produced for Lord & Taylor. Donald Brooks (1928-2005) was a prominent American fashion designer who, in addition to creating ready-to-wear collections and custom apparel, designed costumes for film, television, and theater. He taught at Parsons for approximately forty years. The collection includes photographs, publicity materials, and original fashion and costume design sketches. After graduating from Parsons in 1973, fashion designer Zack Carr (1945-2000) worked for B. Altman, Donald Brooks and Calvin Klein. In 1984 Carr started his own line. The collection includes material produced and compiled from 1969-2000, and includes sketches for Calvin Klein, idea books, photographs, news clippings and biographical material. The collection also includes a pattern drafting notebook and other examples of work Carr did as a Parsons student. Edith d'Errecalde (1905-2002) worked for Mainbocher in the 1940s and started her own sportswear company, Maxmil, in 1951. Later d'Errecalde worked for Evan-Picone and as fashion director for Cohama. The d'Errecalde papers contain photographs, sketches, news clippings, advertisements, press kits, correspondence, and notes and manuscripts for articles and lectures. D'Errecalde was a critic and lecturer at Parsons in 1969-1970. With a career that extended from the 1930s to the 1960s, Raymond Driscoll (1915-2004) was perhaps most widely known for his annual best and worst-dressed lists. He also achieved recognition for his costume designs for Mexican film stars. The collection is comprised of Driscoll's scrapbook of photographs, news clippings, invitations, and greeting cards from film stars and politicians documenting his work in the 1940s and '50s, as well as original fashion sketches. Contains eight watercolor sketches by Frawley, who graduated from Parsons in 1983 and returned as an instructor from 1989-1996. Frawley is known for his illustrations in Parsons classmate Isaac Mizrahi's The Adventures of Sandee the Supermodel. In 1950, fashion designer James Galanos (1924- ) started Jimi Originals with Mary Scourby. The company only existed for a short time, but it was the first company to market Galanos' creations under his name. The Kellen Design Archives collection (1950s) consists of twelve Jimi Originals fashion sketches as well as invoices and notes. Galanos was a critic at Parsons from 1962 to 1968. Dorothy Haon (1898-1995) attended the New York School of Fine and Applied Art (later, Parsons The New School for Design) in 1923-1924, and went on to careers in fashion design and merchandising. The collection, which spans the late 1930s through the 1950s, includes working sketches and notes, cloth patterns, fabric samples, and business records. Also included is work by Dorothy's sister, Marion Haon. Charles Le Maire (1897-1985) began his costume design career in the 1920s creating costumes for vaudevillian musicals and revues. Later, he served as executive designer for Twentieth Century-Fox. In the 1950s, Le Maire established his own business in Hollywood, taking private commissions and continuing his film design work, and earning 13 Oscar nominations and three Oscars for Best Costume Design. The collection consists of seventeen Le Maire sketches, including work for the Earl Carroll Vanities (1924-1930) and unidentified sketches from the 1950s. Roy Little graduated from Parsons in 1949 and went on to become a designer for the renowned French couturier Jacques Fath. He returned to Parsons as an instructor in 1958 and remained in that position until 1979. The nine sketchbooks held by the Kellen Design Archives represent Little's work for Fath. 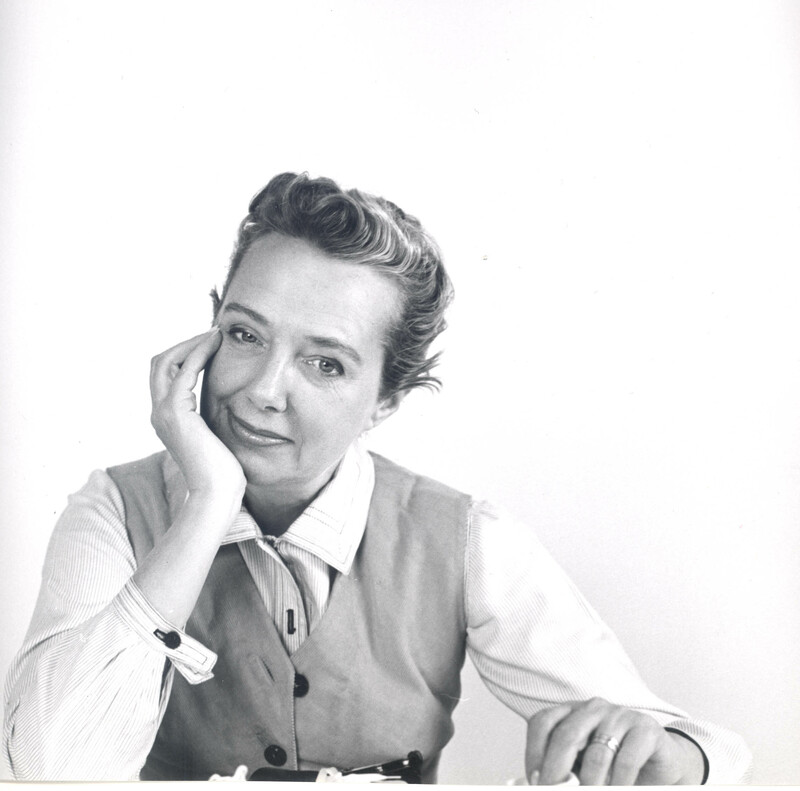 Claire McCardell (1905-1958) graduated from Parsons in 1928 and went on to become a pivotal figure in the creation of American ready-to-wear clothing. McCardell received the Coty American Fashion Critics Award in 1944, and in the same year returned to Parsons as a critic and instructor, a position she held for the rest of her life. The Kellen Design Archives has 11,171 of McCardell's working sketches, 1931-1958, the bulk done for Townley Frocks. The collection also includes 294 sketches by Mildred Orrick and nineteen by Scaasi (Arnold Isaacs) for Townley Frocks. Robert Mackintosh (1925-1998) was a costume and fashion designer whose design career spanned forty years and twenty Broadway productions. He made his Broadway debut designing costumes for the 1952 musical Wish You Were Here and went on to design costumes for both on and off-Broadway productions. In the 1960s, Mackintosh branched out into womenswear design with Musette, a juniors label, which was sold at Bergdorf Goodman and Saks Fifth Avenue. He went on to design various other womens and menswear lines in the 1970s. The collection consists of clippings, fashion publicity, and promotional photographs, as well as approximately 150 women's fashion sketches, and nine menswear sketches. Also included are costume sketches, technical sheets, and swatches from three theater productions, including The Fig Leaves are Falling (1969), The Last Minstrel Show (1978), and Mame (1983). Original fashion illustrations donated by the menswear fashion magazine, DNR (Daily News Record), sketched by or for designers John Rocha, Tommy Hilfiger, Nina Ricci, Claude Montana, José Levy, Paco Rabane, Gilles Rosier, Joseph Abboud, and Olivier Strelli. Norman Norell (1900-1972) was the first American fashion designer to compete successfully with French couture. In 1943, he received the first Coty American Fashion Critics Award and in 1956 was inducted into the Coty Hall of Fame. Norell was a visiting critic at Parsons from 1943 until his death in 1972. The collection includes fashion sketches, photographs, news clippings, print ads, awards, scrapbooks, biographical material and two examples of Norell's clothing. Fashion designer Mildred Orrick (1906-1994) graduated from Parsons in 1928 and went on to a career as a fashion and costume designer and illustrator, and designed part of the Futurama exhibition at the 1939 New York World's Fair. Orrick was a visiting critic at Parsons from 1947 to 1962. The collection consists of Orrick's fashion and theater costume sketches, 1920s-1950s. Additional Orrick sketches may be found in the Kellen Design Archives' Claire McCardell sketch collection. Herbert Sondheim (1895-1966), who taught at Parsons in 1946, ran a dressmaking business that produced affordable versions of high-end fashion. The Kellen Design Archives holds Sondheim's nineteen scrapbooks, the bulk of which contain fashion drawings depicting the work of Vionnet, Chanel, Molyneux, and others. 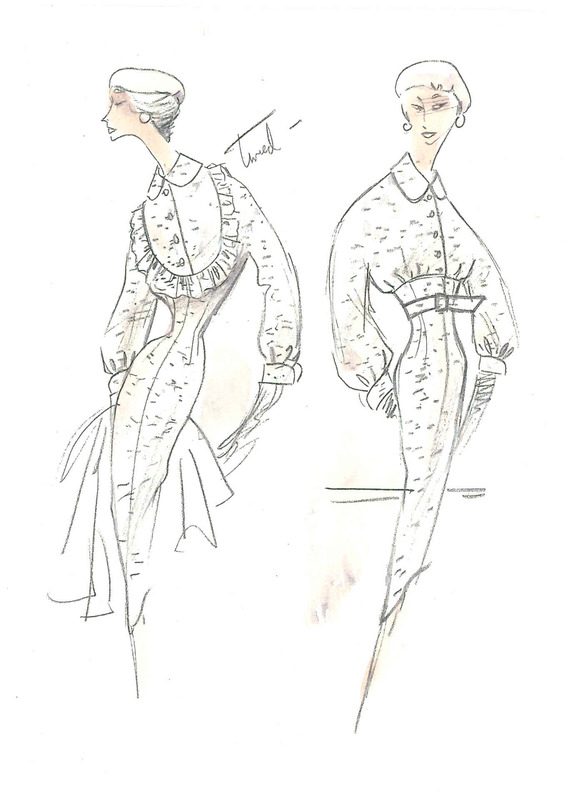 Sondheim used these drawings as templates and inspiration for his own dress designs. Two scrapbooks contain news clippings, photographs and correspondence from 1946-1947. French-born Joset Walker (1902-1999) graduated from Parsons in 1928. A leading designer of ready-to-wear clothing for Saks Fifth Avenue's Theatrical Department, Walker briefly served as head costume designer for RKO Studios, working under the name Josette De Lima. Walker began designing for wholesale manufacturer David M. Goodstein in 1940, and founded Joset Walker Designs before retiring from fashion design. The collection includes scrapbooks of news clippings, publicity and fashion photographs, and ephemera documenting Walker's career. A leading figure in the development of American ready-to-wear clothing, John Weitz (1923-2002) established one of the first American signature menswear lines. Through various licensing arrangements combined with self-referential advertising campaigns, he established an international consumer base and became a multi-millionaire. In addition to fashion design, Weitz pursued an array of other interests, becoming a successful racing car driver, yachtsman, best-selling author and photographer. Weitz was a visiting lecturer at Parsons School of Design between 1975 and 1995. The collection includes sketches and design drawings, exhibition files, scrapbooks, newspaper and magazine clippings, publications, photographs, and audiovisual recordings of promotional campaigns, fashion shows and television commercials.